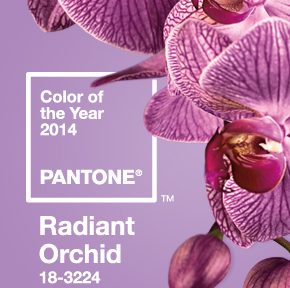 Pantone announced its 2014 Color of the Year, Radiant Orchid - a "captivating, magical, enigmatic purple." Or create your own color to match Radiant Orchid. MM is a world renowned fine art serigraph and digital printmaking studio that works with a wide range of artists to realize their vision in their prints. The list of artists who've passed through their doors is long and storied but they're not ones to name drop so neither will we. In their words: The ultimate beauty of the printmaking tradition is shown in its democratic nature. A fine-art print has the ability to reach a greater population of appreciators that may not be able afford original works, such as paintings. By providing our service the art community, we continue the great tradition of making accessible works of art for the public. Artists have to start somewhere. As art programs are being cut in schools around the country, we do our best to support local schools. We wanted to share this nice letter we received from a public school in NYC. Thank you so much for your incredibly kind support of the Art room. I know you totally understand what an enormous difference working on such high quality paper makes and I could never thank you enough! I really can't express what a huge difference your paper makes to my lessons. I feel so lucky to be able to use such quality materials with the kids...thank you! According to Pantone, Emerald is the "Color of 2013". We put together a five-paper sampler to help you keep up with the trend.